Fall is right around the corner bringing cooler temperatures and autumn colored views. In upstate South Carolina there are still plenty of activities you can do with your family on the lake during this season. Lake Jocassee in South Carolina’s Blue Ridge Mountains sits on Devils Fork State Park that boasts breathtaking views. Here families can enjoy lakeside campaign, boating, and hiking. 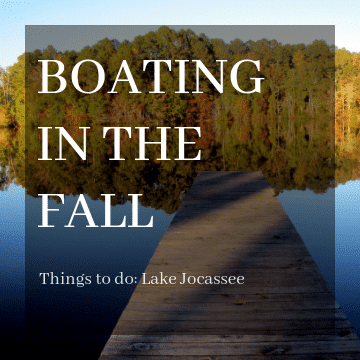 Additionally, Lake Jocassee is the only lake in South Carolina that offers trophy trout and a smallmouth bass making it a top destination for fishing in South Carolina. The 7,565-acres of land around this lake is almost entirely undeveloped with several waterfalls and mountain streams perfect for nature enthusiasts looking for a weekend getaway during the Fall season.